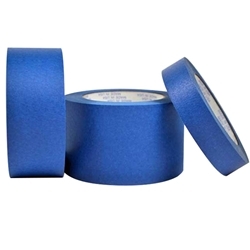 Presto -1" painter tape is a high performance painter's tape that does not dry out or lose its holding power. The environmentally safe painter's tape will cleanly remove from most surfaces for up to 21 days, leaving clean, crisp paint lines. It is ideal for painted walls, trim, glass, woodwork, metal and a wide variety of other applications.